Is your lease expiring, and it’s time to move apartments? Call Ameritex Houston Apartment Movers! Whether you’re moving into a high-rise, studio, or something in between, we make your apartment move look effortless. Our apartment moving services include packing, transportation, and unpacking. We know how to transport boxes and furniture up and down stairs, as well as through the tight hallways and narrow door frames of your apartment. We take complete control of your move, leaving you stress-free and ready to enjoy your new place. Houston residents have trusted our apartment moves for over 15 years. Choose Ameritex for a fun, fast, and stress-free apartment move. Check out this infographic on how to have a Stress-Free Move when relocating apartments. Whether you’re a veteran apartment resident or a first-timer, you can do a few things to make it easier on yourself. Here is a handy list of tasks to help your apartment move. Start packing as soon as you can. Label boxes on all visible sides for easy unpacking. Take pictures of empty rooms during your apartment move. Use the opportunity to organize your belongings. Hire Houston apartment movers as soon as you decide to move. Watch the video below for an apartment moving checklist you won’t want to move without. We are experts on the local complexes and the challenges that arise from apartment moves. With an active membership in the Houston Apartment Association, we are always on top of the latest innovations in apartment moving. We are recognized time and time again for our professionalism and knowledge. In fact, many management companies in Houston, Austin, and Dallas/Fort Worth list us as their preferred moving company. We’ll facilitate everything you need from start to finish. Call Ameritex Movers today at 713-484-MOVE for professional apartment movers. Click here to read about high-rise apartment moves. Check out these helpful resources designed to make your apartment move as stress-free as possible. 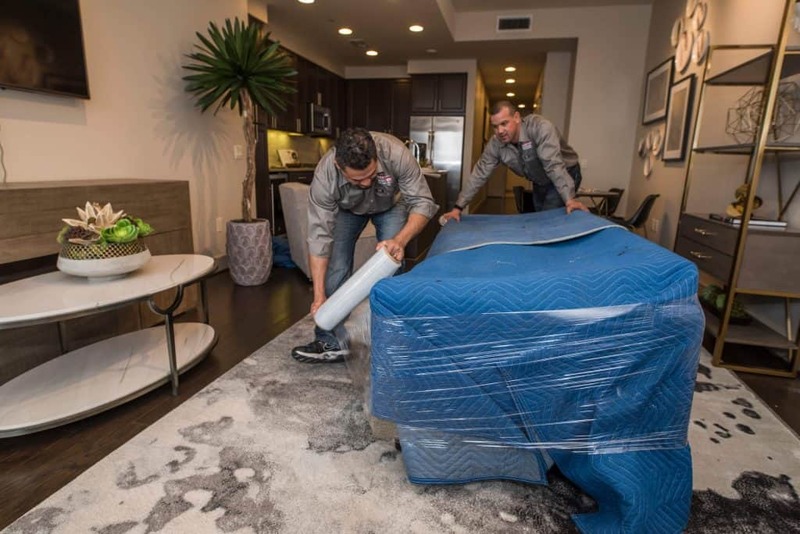 Read about the most common mistakes we see when it comes to moving apartments, and what you can do to avoid them. Read about how we can help you pack your apartment, along with some handy tips. Sometimes you just don’t have the luxury of time when you’re moving apartments. Here’s what you need to know about our last-minute apartment moves.